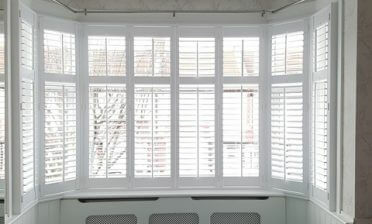 We recently fitted these special shaped shutters to a property in East Dulwich, London for a client looking for a solution for his south facing window and doors. The shutters were needed to create a shaded environment in the summer whilst still having full control over the light and airflow when needed. 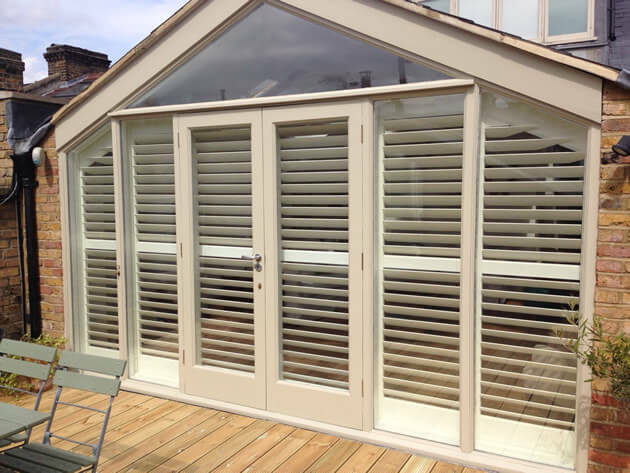 With doors leading from the room to the decking, we also needed to fit shutters that allowed for quick and easy access when required. 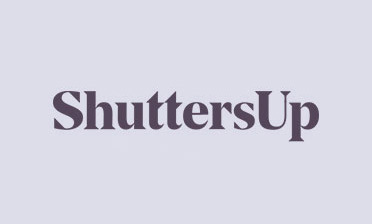 Taking all the customers considerations and ideas on board we came up with this fantastic run of shutters which are full height with a mid-rail including specially shaped shutters on each side to fit perfectly with the roof slope. 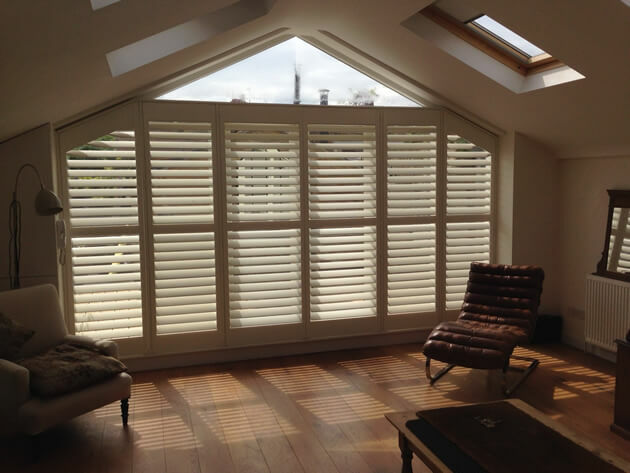 We used shutters from out Sumatra Range with 89mm louvres and silent tilt rod system, finished in pure white which as you can see looks fantastic both internally and externally!